This quote stands out because it aptly, and at the time prophetically, reflects one of the root causes of the problems currently afflicting several countries, including America and the Caribbean. As these countries become embroiled in persistent unusual “unbelievable” and “bizarre” challenges, the older, surviving generation question the quality of today’s leaders, in comparison to leaders of years past. Too often, it’s seen where leaders of recent years appear motivated by love of money, resulting in accusations of financial corruption. Also, it’s frequently seen in recent years, where the current crop of leaders crave, are addicted, to publicity whether for bad or good. Where did past leadership qualities go? Every year as Americans celebrate the unselfish, dedicated public quality of leaders like the Reverend King; and former presidents like Franklin Roosevelt, John Kennedy, Abraham Lincoln, and Lyndon Johnson, one wonders where has this quality gone? It is similar in the context of the Caribbean when one contemplates the life, service and tremendous sacrifices of leaders like Jamaica’s Norman Washington Manley, Trinidad’s Eric Williams and Barbados’ Dr. Errol Barrow. 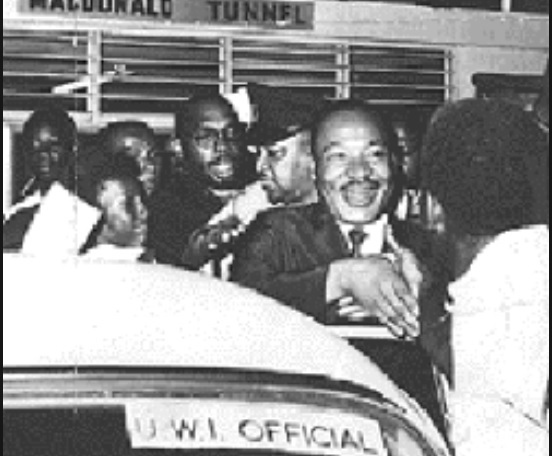 Rev King was an outstanding orator and preacher. He could easily have chosen to lead a mega-church in the 1960s, gaining great wealth as television exposed more preachers to the public. Rather, he chose the quest to lead America to bridge the racial divide and secure civil rights for black people. He gained no wealth, and although he attracted publicity did not seek it deliberately, and he eventually sacrificed his life. Today, corelated to the explosion of a multi-media system bolstered by the intervention of social media, leaders seem reluctant to lead without the exposure from televised press conferences, or social media messages. Every gesture, statement and comment, some of which are often questionable, begs publicity. Publicity is used as a tool to attain leadership, and once leadership is attained publicity is again used as a tool to uphold this leadership. So many modern leaders while offering leadership potential as they seek to lead have fallen on the sword of publicity as they focus on their public profile, rather than offering service. This has allowed for grave social divisions to cripple societies not only in America, but other countries. Leaders of yesterday deliberately made attempts to unite those they led. They used compromise as a prominent means to secure unity. But, it has been a long time since seeking such unity was a priority. Today, maintaining divisiveness seems more important. Rev. King wasn’t content to focus on serving his black base of supporters. If he did, he wouldn’t have accomplished what he did. He wouldn’t have been able to garner the support of President Kennedy and his brother, Robert. He would not have influenced the US Congress to pass, and President Johnson to sign, the Civil Rights and Voter’s Rights Acts in 1965. Today, America is a dithering conundrum because leaders are intent on first serving their base, to the detriment of the rest of the society. Serving their base enhances these leader’s publicity, boost their tenure as leaders, and make it easier for some to seek and acquire wealth. People are searching, but there’s little evidence of the leaders of years past. There’s little evidence of leaders who are ready to lead while placing love for justice and humanity over love for money and publicity. Certainly, hopefully, leaders like MLK, FDR, NW Manley and Eric Williams, weren’t once-in-a-lifetime leaders. These leaders must be more than occasionally celebrated. They left footprints to be followed, and it remains hopeful there are emerging new leaders who will soon emulate these past, great leaders.